Back to school means time to get back into a normal routine. 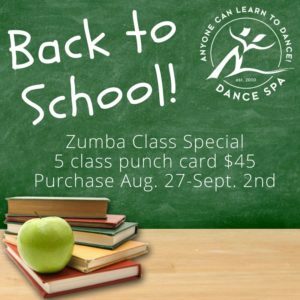 We are offering a special 5 class punch card for $45 to help you get back in the swing of things. The card will be available for purchase online or in studio from Sunday, Aug. 27th – Saturday, Sept. 2nd. *Please, only one per client.